Kale is still king in the land of vegetables and healthy eating, and if you haven’t tried it yet or don’t cook with it often, I wanted to share 10 simple ways to use this superfood. Here are 10 Easy Kale Recipes for breakfast, lunch, dinner, and snacks! The beautiful leaves of the kale plant provide an earthy flavor and more nutritional value for fewer calories than almost any other food around. Kale’s nutrient richness stands out in three particular areas: (1) antioxidant nutrients, (2) anti-inflammatory nutrients, and (3) anti-cancer nutrients in the form of glucosinolates. Click here for the source information and to read more about the health benefits of kale on whfoods.com. 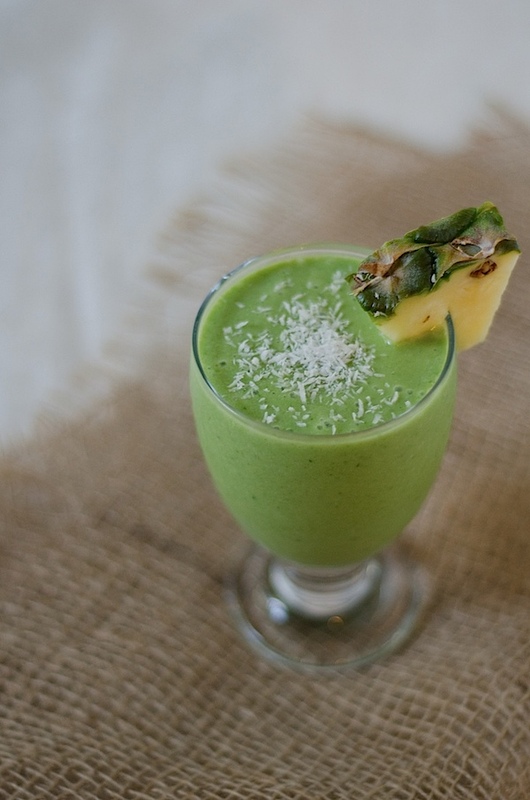 Piña Colada Green Monster Smoothie Recipe – just in time for the warm weather and not just for happy hour! Put kale in a smoothie: This is my favorite way to eat kale because it’s so fast, easy, and tastes great. This is the fastest of the 10 easy kale recipes. You can add kale to your favorite smoothie to give it a pretty green color and boost the nutrition. Usually taking only 5-10 minutes to prep and blend, you can enjoy your kale for breakfast or a snack (or a dessert – see next recipe). 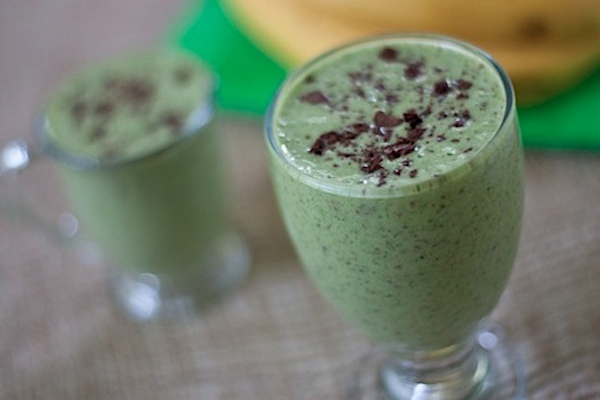 Cookies ‘N Cream Green Monster Smoothie Recipe – and since I like smoothies so much, here’s another one to whip up sometime soon. Try it for breakfast or switch things up and make it for a light dessert. Green Monster Muffin Recipe – for the baking lover. Bake your smoothie? And since we’re talking about green monsters, here’s a play on the famous smoothie that I adapted into a muffin recipe! The recipe calls for spinach, but you can sub kale. 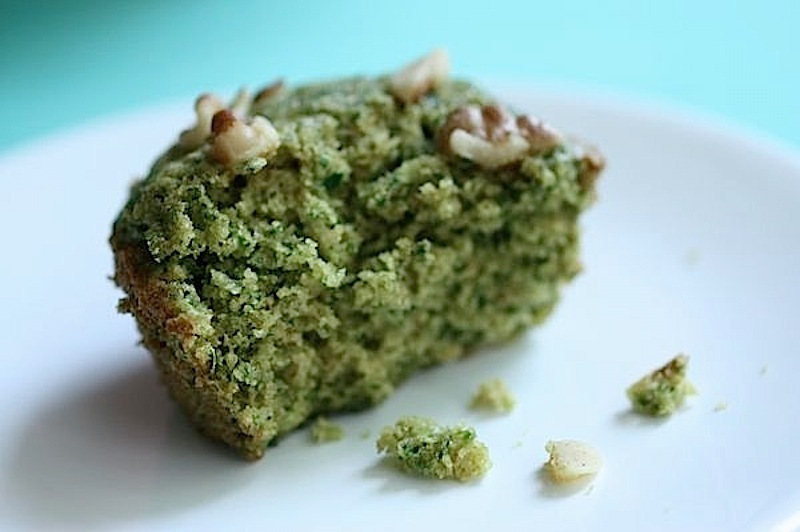 I should know…I have a new green monster muffin recipe variation just waiting to be blogged. Easy Kale Chips Recipe – a recipe along with helpful photos and my other tips to ensure successful chips. 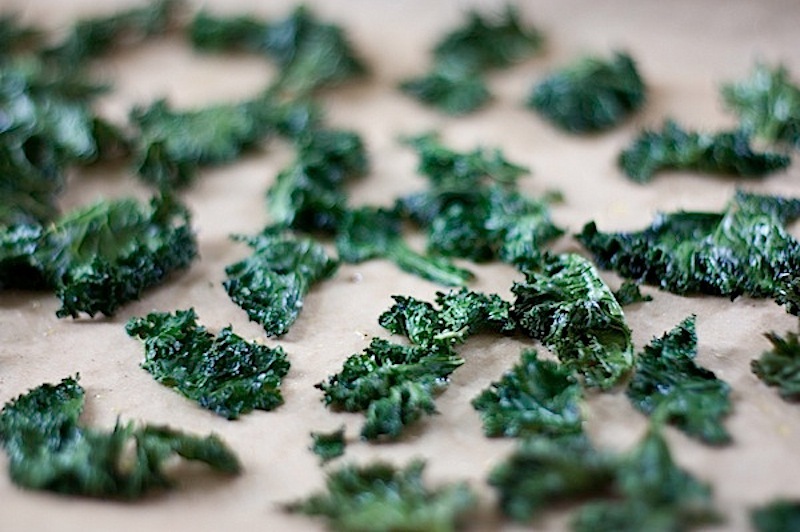 Bake Your Kale: And if you’re looking for a baking recipe that isn’t sweet, have you heard of kale chips yet? 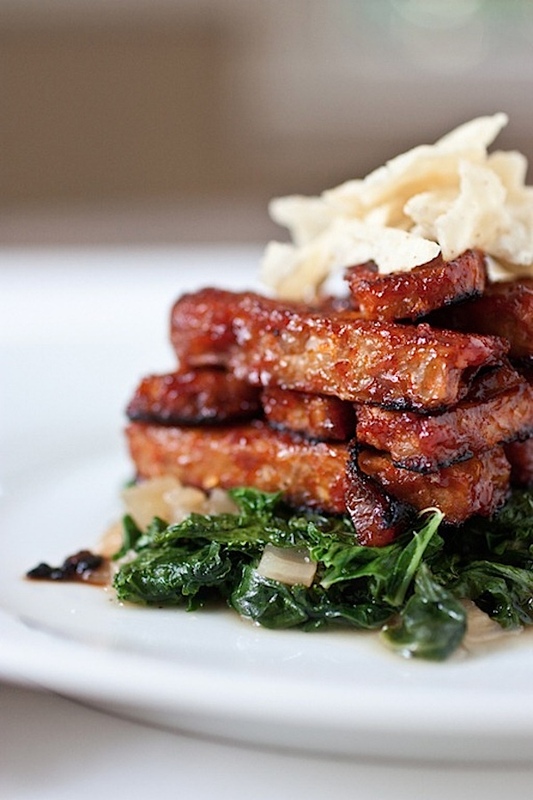 Of all of the 10 easy kale recipes, this one may be the most well-known. I’m thinking most of you have, but if you haven’t, then click the link above for more details. I wouldn’t say they’re a fair substitution for my beloved salt and vinegar potato chips, but these are delicious in their own right. Marinated Kale Recipe – This goes great as a side for any meal, but it holds especially well for a pack lunch to take to the office or on a trip. Marinate Your Kale: If you don’t feel like cooking your kale, besides putting it into a smoothie, you can also eat it raw as a salad. My favorite is massaged with soy sauce, sesame oil, fresh garlic, and fresh ginger for an Asian-inspired taste. Southwest Quinoa Breakfast Bowl – a new kind of breakfast. 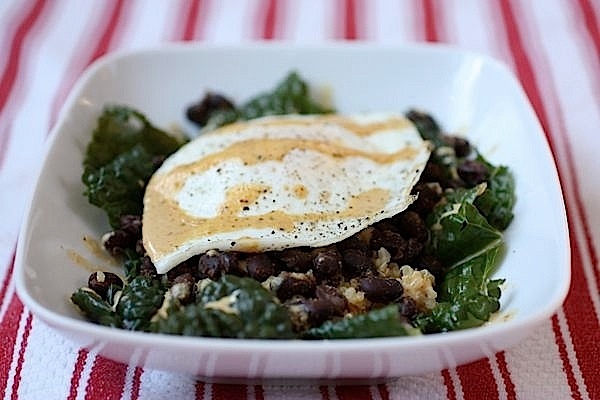 Steam Your Kale: You can eat steamed kale straight up for a simple side, but I really like this recipe for a unique breakfast recipe. If you’re looking to eat more vegetables, don’t forget about breakfast! This would also make a great light meal. Bonus – according to whfoods.com, steaming kale increases its cholesterol-lowering ability. Tangy Greens – mixed with other greens and apple cider vinegar, these only take a couple minutes to sauté up. 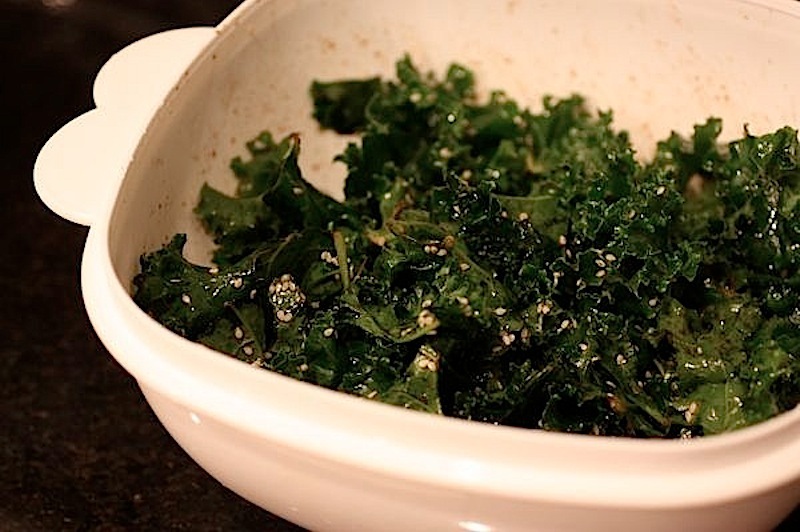 Sauté Your Kale: Many recipes recommend braising kale for a long time, but I like it sautéed, which takes less time. Braised is great, but go sautéed when you’re short on time. 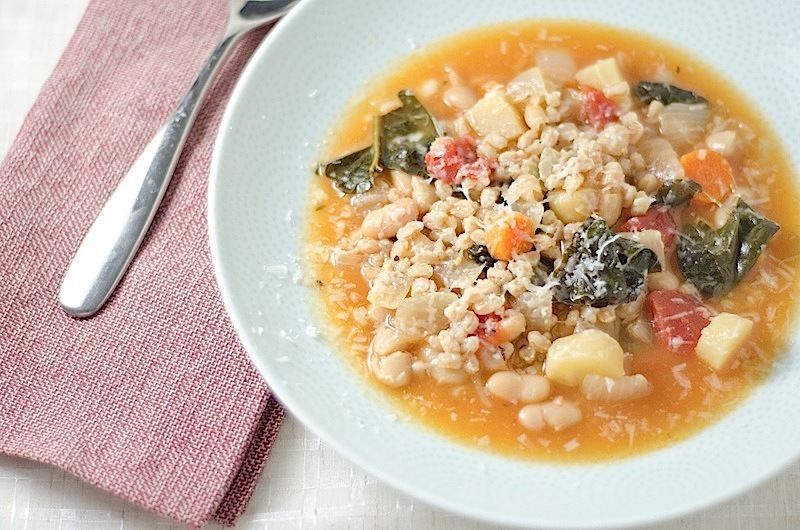 Vegetarian Italian Farro Soup – simple, delicious and perfect for a light meal any time of year. Put Kale in Soup: Since kale wilts down so easily, I love to take a bunch, rip it into bite-sized pieces, and toss it into soup. Just a couple minutes of prep work adds extra vegetables and nutrition to your favorite soup recipe. Though 2 of the 10 easy kale recipes are for soup, you could use this method to upgrade almost any soup recipe. 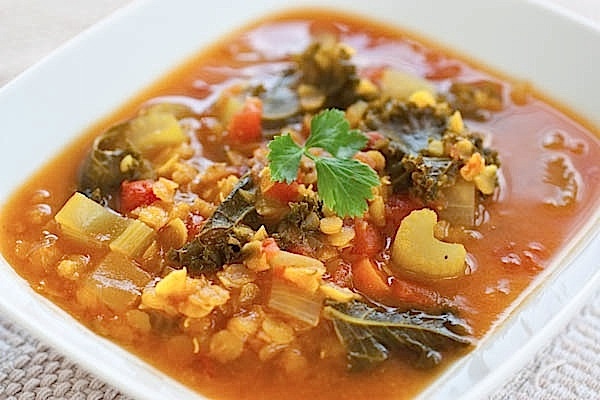 Spiced Red Lentil and Kale Soup – zesty and flavorful. I had to add a second soup since this is such an easy way to eat kale. Healthified Beef Stew – slow cooker beef stew gets an easy addition. 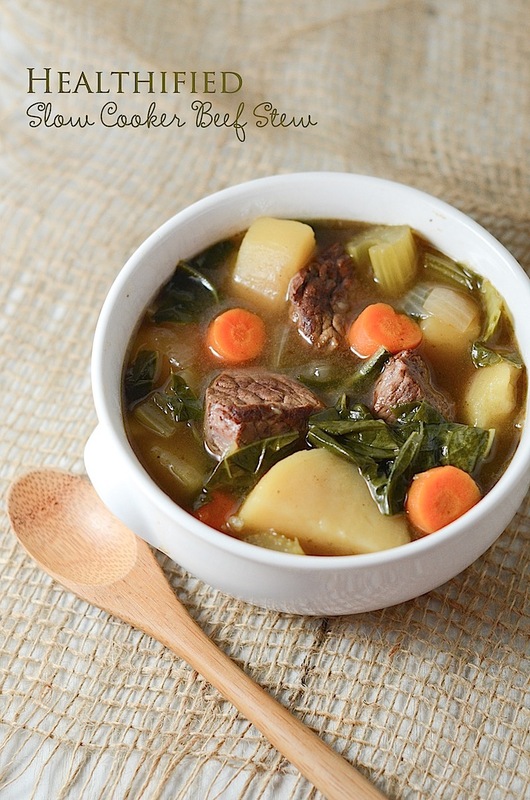 Healthify Comfort Foods: When I was making this beef stew recipe, I decided to throw kale in at the end because…why not? I can’t decide if this is me being really into eating my greens or being a lazy healthy eater looking for shortcuts. Hmm…I’m thinking of adding some kale to chicken and dumplings next! Happy cooking! Hope you enjoyed this recipe round-up of 10 easy kale recipes. Enjoy your greens! 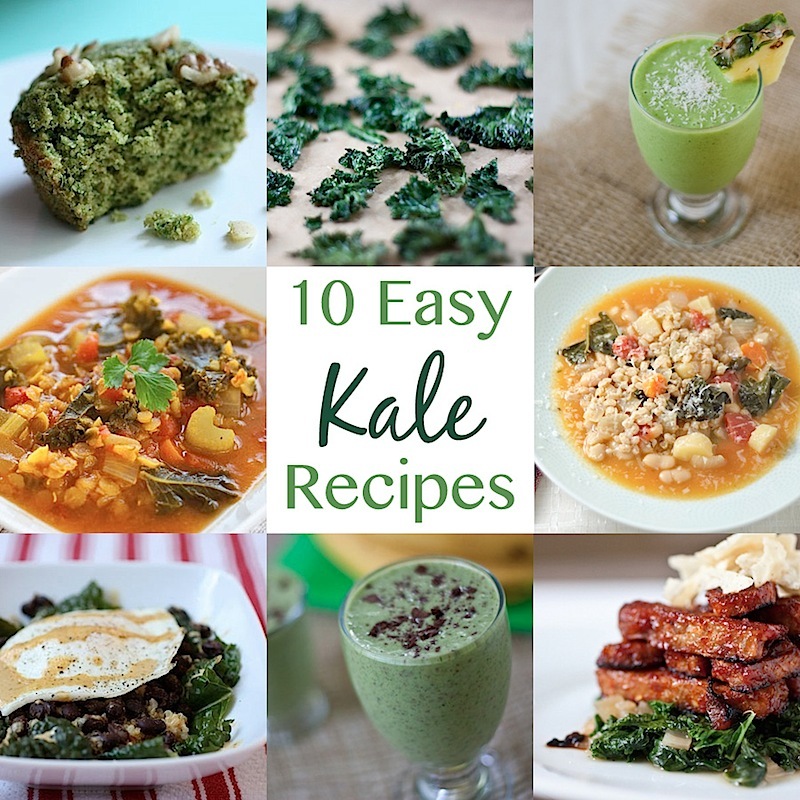 And remember to share this post for 10 easy kale recipes if you found it helpful!